Stuff Ive made that I like. A stock aircraft called Kaab J28F. 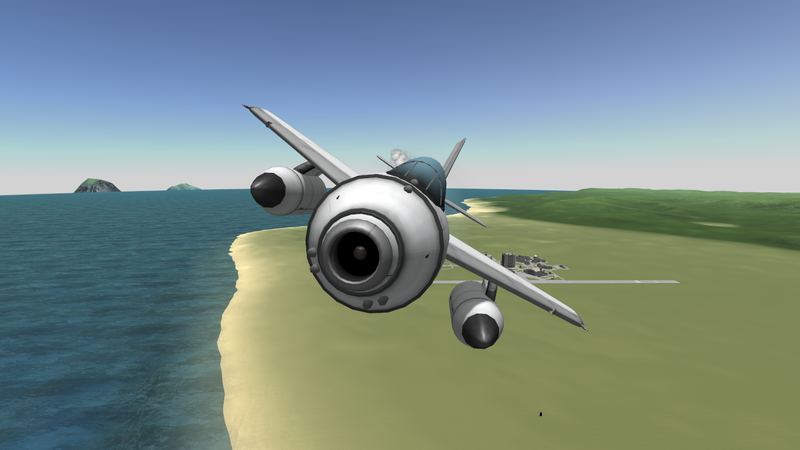 Built with 87 of the finest parts, its root part is Mark2Cockpit. The Saab 29, called Flygande Tunnan (English The Flying Barrel ) was a Swedish fighter designed and manufactured by Saab in the 1940’s. 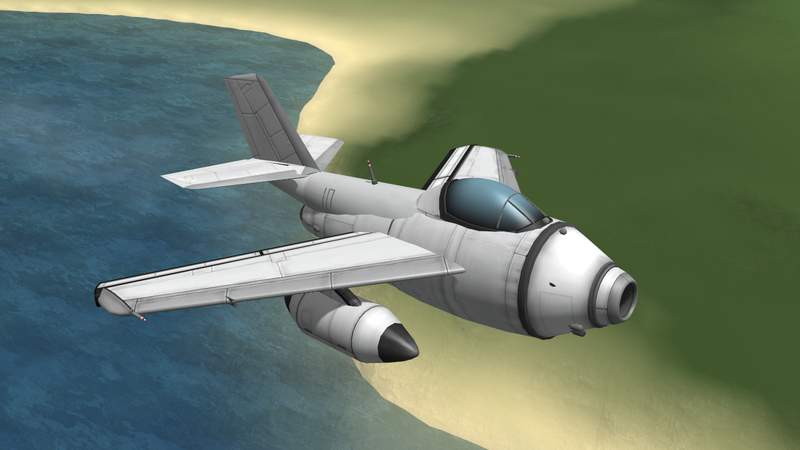 It was Sweden’s second turbojet-powered combat aircraft, the first being the Saab 21R; additonally, it was the first Western European fighter to be produced with swept wing after the war, the Me-262 being the first during WWII. Despite its rotund appearance, from which its name derives, the Saab 29 was a fast and agile aircraft for its era. It served effectively in both fighter and fighter-bomber roles into the 1970’s. 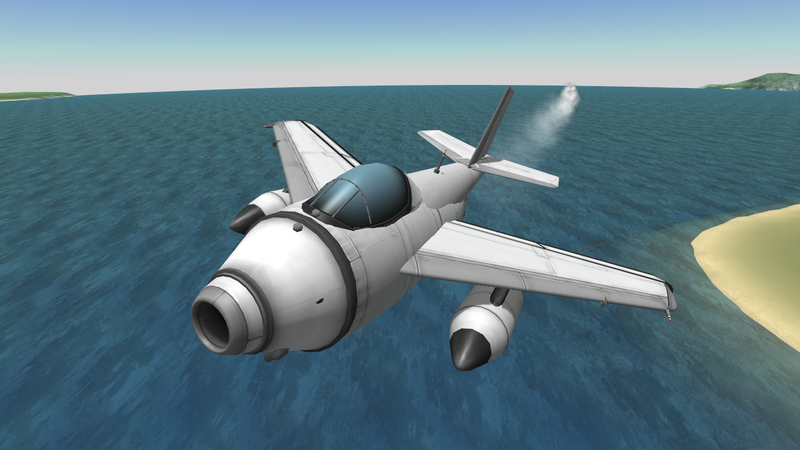 https://kerbalx.com/erasmusguy/Kaab-J29F-BD-Version for the BDArmory version.